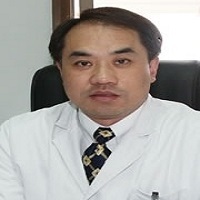 Professor Gu Jin is an eminent surgeon and is currently Professor of colorectal Surgery Department of Beijing Cancer Hospital, Peking University Cancer Hospital. He is also Chairman of the Chinese Society of Oncology (Chinese Medical Association). He graduated with a medical degree from Beijing Medical University, after which he went on to complete further training as a Visiting Scholar at Les Hôpitaux Universitaires de Strasbourg, France and then at the Columbia School of Physicians and Surgeons, US. Prior to assuming his present appointment, he held the position of Attending Physician before being promoted to Professor and Deputy Director of the Department of Surgery, Beijing Medical University, China. He has published more than 71 papers in reputed journals.